Coastal Bend College students plan to travel to Salamanca, Spain this summer for intensive study in architecture or sociology from June 22 to July 5. Jack Young, Coastal Bend College Drafting and Design Instructor, will lead the group on an exploration of historical and contemporary Spanish architecture in public and private spaces. Kelly Rea will teach Essentials of Sociology with a special emphasis on Spanish culture to an accompanying group of students. Young, a member of American Institute of Building Design and the Texas Institute of Building Design, will accompany local guides in introducing Spanish culture through excursions to Madrid, Toledo, Segovia, Avila and Granada. The academic emphasis will be on the relationship, culture, geography, climate, natural resources and materials that complement design methods of construction. All students will participate in these excursions. 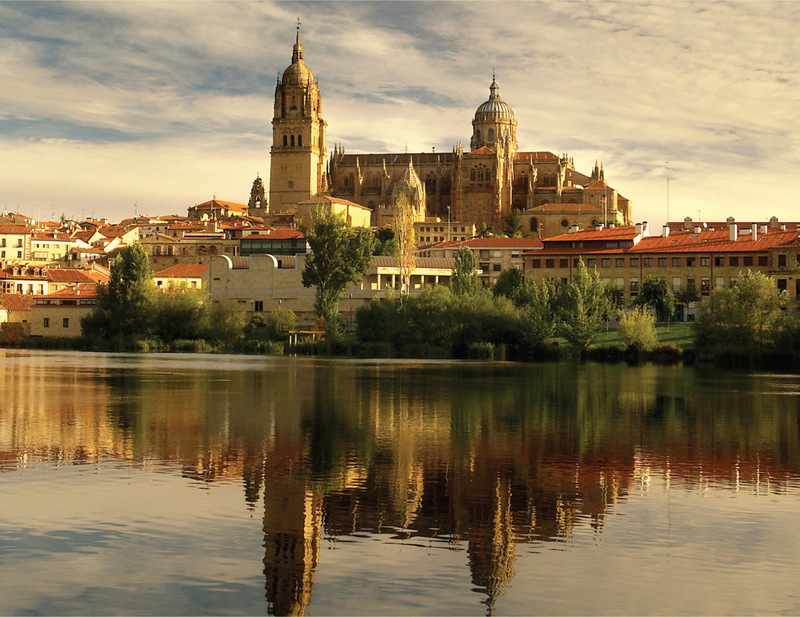 All students will live with host families; the homes are located throughout Salamanca. Most of the host families are made up of individuals who do not speak English. In addition to having an opportunity to be immersed in the language, students will view aspects of the Spanish lifestyle that are inaccessible to most visitors. Sociology students will observe and analyze the social institutions of family, education, population, class, environment, religion and industrialization in Spain. The course will encompass classroom instruction supplemented with an online component and a residential living experience. “Studying sociology and Spanish culture abroad will be tremendous for students. Living with host families will allow students a first-hand look at Spanish culture including familial life, customs and traditions, language, dietary habits, religious practices, arts and entertainment,” Rea said. The two-week trip is open to college and high school students, teachers seeking professional development and travelers. Students in the Special Topics in Architecture course can opt for four credit hours or 6.4 continuing education units. Students in the Sociology course can earn three semester credit hours upon completion of the class. The cost is $2,975 plus tuition and fees, and airfare. A deposit of $1,000 is required by March 6 to reserve a spot. Travel and accommodations in Spain are included in the price, including hotel stays, ground travel, international health insurance and tours. A valid passport is required for this trip. For more information, contact Jack Young at (361) 354-2325 or jwyoung@coastalbend.edu or Kelly Rea at (361) 354-2401 or mkdrea@coastalbend.edu.